STIRLING ELECTRIC. We are Architects of Light. 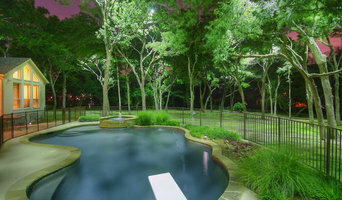 Landscape lighting is viewed by us as an art form. It takes our designer eye and electricians’ expertise to create beautiful illumination effects that enhance the architecture and landscape environments. As the Greater Houston area's lighting specialists, Light It Right is the leader in architectural and landscape lighting for many locations. We provide our customers with the highest quality, low voltage lighting that best displays the beauty of their homes and businesses at night while simultaneously increasing their safety and value. 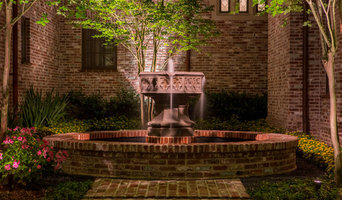 Houston Lightscapes has over 30 years of experience and is one of the more dedicated landscape lighting firms in the Houston area. We are proud to be the market leader. Our professional design team, installers and staff serve thousands of new and repeat customers each year. We offer a 100% Customer Satisfaction Guarantee, year-round service and maintenance, free consultations and estimates. Outdoor lighting can transform the dark and ominous to friendly and familiar. Reshape a yard and gardens into a softly lighted sanctuary. Transform entry ways into warm and welcoming or establish walkway more safe and secure. Residential Lighting: Softly light outdoor getaways for everyday use can soothe your spirits and offer year-round comfort, beauty, safety and security. 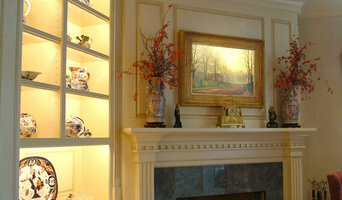 Vacation Home Lighting: Light a restful retreat, a fun family escape, or personal haven. We all enjoy time to get away weather it be with friends and family or just some time away. Insuring that you have the perfect lighting to enjoy while present or for security purposes when you are away. Outdoor Security Lighting: Enjoy a beautifully light property that also offers continuous and reliable nighttime security and greater peace of mind! Commercial and Large Property Lighting: Accentuate the beauty of your grounds and gardens while increasing safety and security with lighting specifically engineered for your every need. Houston Luxury Lighting is a combination of 20 years licensed electrical experience and 10 years in custom outdoor lighting design. We bring the beauty of each project to life in both commercial and residential projects. We take pride in seeing each customer as individuals, understanding the value of great communication, and delivering exceptional work ethics. We listen to your needs and then we make them happen. Kingdom Christmas Lights is your local Christmas light contractor service that specializes in holiday decoration installation. We offer a turn key solution to commercial and residential lighting projects in the Houston Texas area. Our organization has been seeded by a local ministry to advance God's Kingdom here on this earth. We are excited about our 2018 season and will be looking forward to lighting up your home of business. Hi we're Brandon & Kristen. We're a husband and wife team that set out to make sure that you have the highest quality low voltage landscape lighting possible. We specialize in residential, hospitality, commercial, holiday, and even event lighting! From design & installation to coming out after the lawn guy knocked over your pathlight, we've got you. We offer free nighttime demonstrations so you can see exactly what your house will look like with lights. We work on all systems, previous or new. Let us light up your home today! Call us at (two eight one - six seven two - eight nine four three) or visit our website (click the social media links) to set up your nighttime demonstration or design consultation. outdoor lighting, landscape lighting company, mosquito misting systems servicing all of The Woodlands, TX Spring Texas and surrounding areas. We are a high quality company, with that family owned and operated business ethics. We provide professional and fast service. We are a company you can depend on, with quality service you can trust. What services do Houston outdoor audio and visual system professionals provide? Home theaters are moving outdoors, too. Sports fans can grill without missing the game, and families can invite neighborhood friends over for movie nights. Special weatherized flat-screen TVs are coated to minimize glare. Imagine your Houston, TX backyard with a custom-designed outdoor theater system — complete with a large projection screen. It makes backyard entertaining easy. Find outdoor audio and visual system professionals on Houzz. 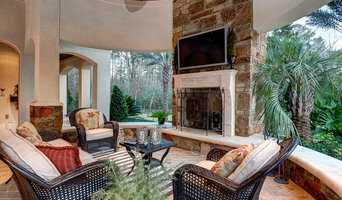 Look in Houzz’s Professionals section to find Houston, TX outdoor audio and visual system experts. Narrow your search to the nearest city or metro area for a list of nearby businesses. Get contact information, read reviews and look at completed Texas custom outdoor sound system projects.